Mobility plays a vital role in longevity and in the prevention of certain age-related illnesses. Good mobility nevertheless requires excellent static and dynamic balance. Balance depends on the integration of three types of sensory information: vestibular inputs, proprioceptive inputs, and visual inputs. These different types of sensory information are processed in the vestibular nuclei, the thalamus and various cortical areas. From the brainstem to the cortex, there is a host of different sensory information at each level of the central nervous system. This serves to promote balance during head and body movements in space. Quantification of a patient’s balance is essential because it makes it possible to better determine their degree of mobility, essential for preserving their quality of life and also for determining their falls risk factor, for which the long term dangerous consequences are well documented. We have developed the U_Balance assessment which assesses the equilibrium performance of patients with or without internal ear dysfunction. There are specific platform Posturography tests which are able to record centre of foot pressure displacements and the body’s centre of gravity during a given time period. A patient’s balance is then recorded in different visual and proprioceptive sensory conditions (see Equitest). However, this assessment does not take into account a patient's cognitive and concentration abilities, their stress levels, mobility, energy, stiffness or balance when walking. The U-Balance assessment tries to take all of these elements into account. Dizziness Handicap Inventory questionnaire completed on a tablet PC. Assessment of the patient’s body mass index (BMI). 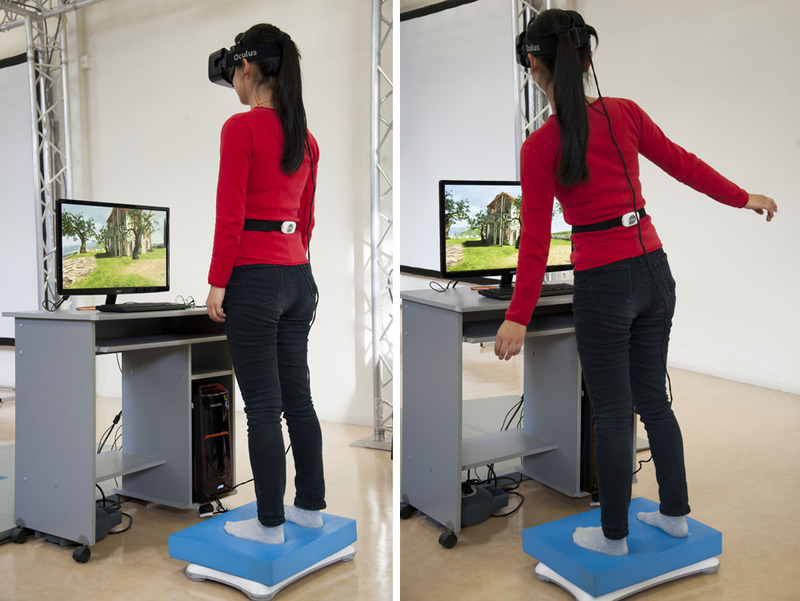 One-minute assessment of a patient’s balance capabilities while standing on one foot with eyes fixed on a focal point at a distance of 1m50 and arms at the side of the body; determination of postural oscillations using an accelerometer. On-the-spot walking test (with eyes open and closed) for 50 steps. An android system allows measurement of the frequency, amplitude and any possible stops. The patient must also respond (eyes closed) to short questions, delivered via means of an earpiece, while walking on the spot. 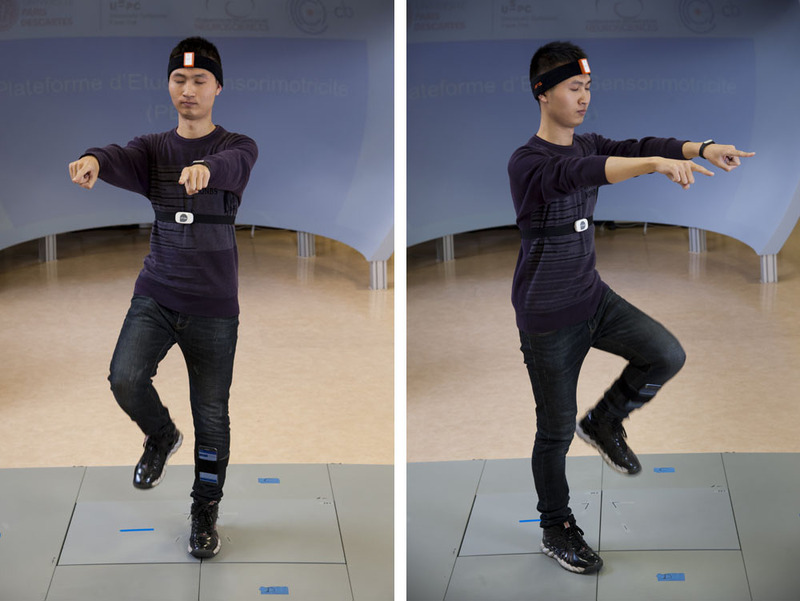 Assessment of energy levels: the patient must make three jumps on the spot with a sensor placed on the top of the head. Standing still on a foam carpet with open and closed eyes. 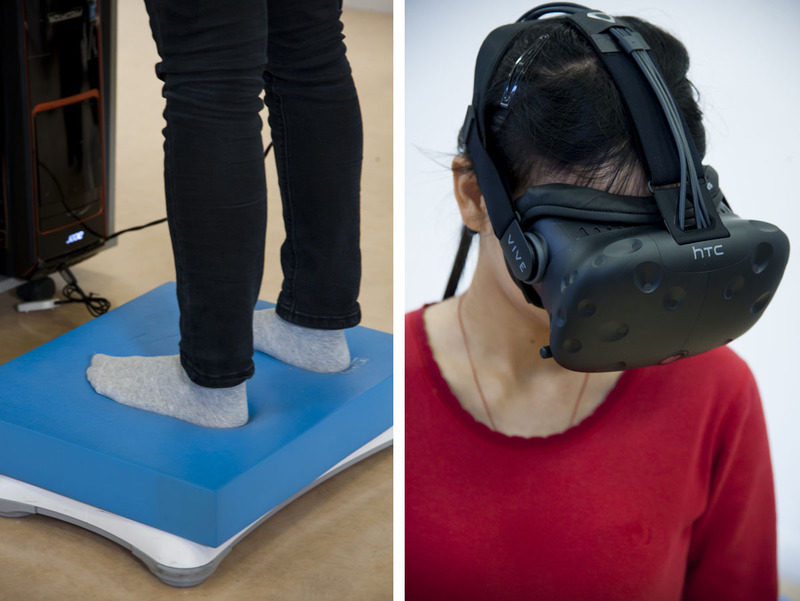 Standing still on a foam carpet while low speed 3D moving visual stimuli scrolls in front of the patient using an Oculus Rift (VR: virtual reality). The patient’s physiological age, based on their static and dynamic equilibrium performance, mobility and energy profile can then established. This physiological age may well correspond to their biological age. However, sometimes they can be different: the patient can have a younger or older physiological age. Our mission is to delay physiological ageing, improve the patient’s performance and help them to function optimally while taking into account their activity, life events and any diseases of the inner ear. Whatever a patient’s stage of life, the U-Balance Report highlights any deficiencies in order to correct them through the use of apps, home-based exercises and specialist balance physiotherapy sessions.